The modern “Drug War” in Mexico is responsible for over a hundred thousand deaths, tens of thousands of people declared “missing” and countless individuals and families ruined beyond repair. It has had a deep impact on everyday life in Mexico and has strained relations with Mexico’s neighbor to the north. While many people are very aware of aspects of the Drug War in Mexico today, many do not know that drug use in this country goes back thousands of years. As a sidebar, although the colloquial term for cannabis, marijuana, may sound Mexican, and the plant is currently cultivated in Mexico, it had its origins in Asia and not the ancient Americas. 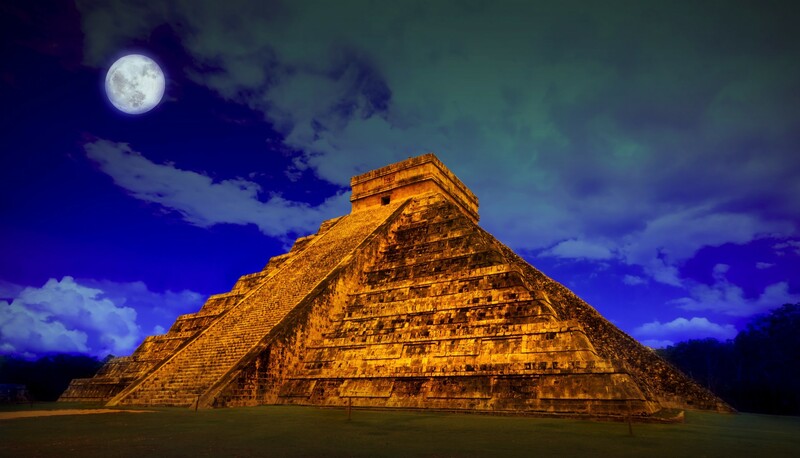 The ancient Mexicans had plenty of other substances that they were using before the arrival of the Spanish. Evidence of ancient drug use in Mexico can be found in the archaeological record, in the writings of the ancient Maya and from Spanish chroniclers who encountered intact and living indigenous civilizations. Drug use was often solely the domain of the shaman or priest who was an intermediary between our earthly existence and the supernatural. While it is unknown how widespread abuse of hallucinogenic substances was in ancient Mexico, it is generally assumed that the cactus, leafy plants and mushrooms harvested for their mind-altering properties were solely used for prophesy or in religious ceremonies. Complex rituals surrounding the use of these substances kept widespread use in check. Soon after peyote was chronicled it was the subject of derision by Spanish authorities. Throughout New Spain its use was prohibited and its users were subjected to the Inquisition as the effects of the drug were seen as encouraging communion with the Devil or demonic forces. “In sooth they tell us that peyote, and ololiuqui, when taken by mouth, will cause the wretch who takes them to lose his wits so severely that he sees the devil among other terrible and fearsome apparitions; and he will be warned (so they say) of things to come, and all this must be tricks and lies of Satan, whose nature is to deceive, with divine permission, the wretch who on such occasions seeks him”. “Alucinógenos en las culturas precolumbinas mesoamericanas” article in the journal Neurología.